Whether you’re traveling for fun or for work, chances are you’re bringing a laptop with you. Computers aren’t just for productivity; you can kill some time in the air by firing up a game or binging on some Netflix content you downloaded prior to your flight. And if you’re not carrying a laptop, then it’s probably a tablet. Whatever type of computer you choose to travel with, you need a bag that can protect it. Whether it’s a traditional briefcase, a weatherproof backpack, or a carry-on that can also hold a week’s worth of clothes, here are our favorite laptop bags for travel. There’s a good reason why travelers love Tortuga bags. They are well-built with highly durable and weather-resistant fabrics, and they’re shaped to fit comfortably. Tortuga’s new Setout series, which we have been using for nearly all our travels as of late, has become our favorite. 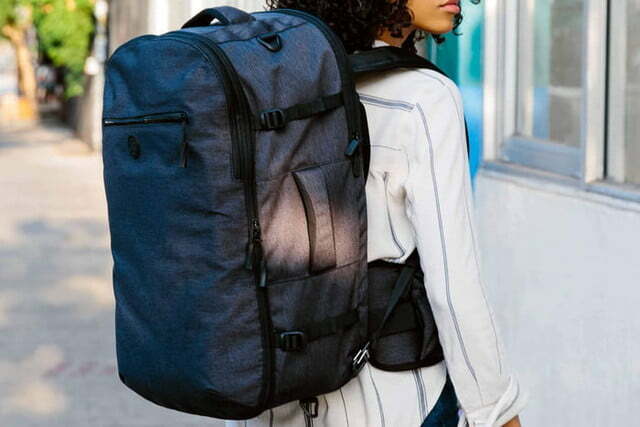 The Setout Backpack not only can hold a 17-inch laptop and accessories, it has a ton of room for clothes. 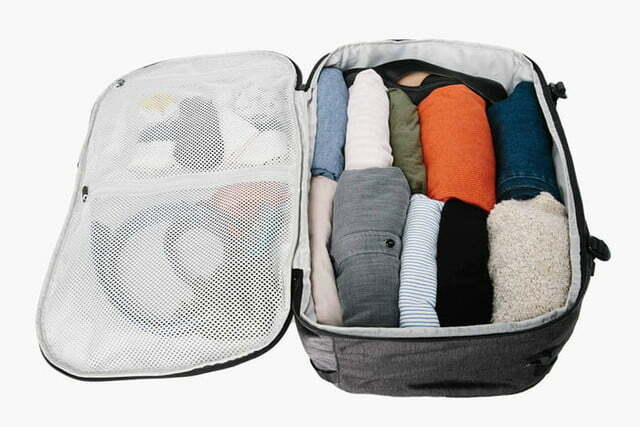 In fact, it meets carry-on size requirements, yet can fit a week’s worth of clothing if you pack accordingly. There are a ton of extra pockets for accessories, too, and the hip belt helps distribute the weight evenly when the bag is fully loaded (it also has a compartment for things you need to access often, like a phone or passport). From internal padding to the zippers, the Setout feels amazingly strong. 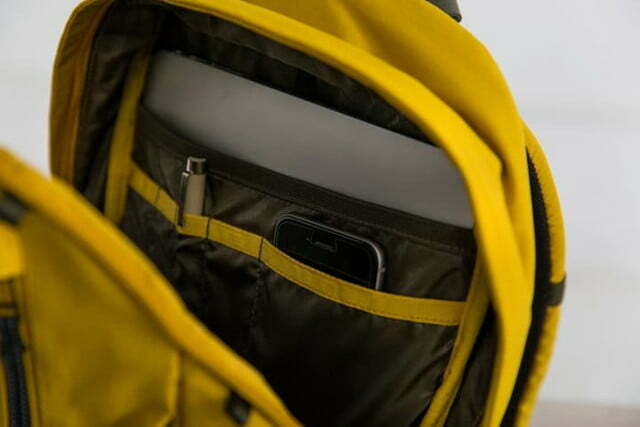 For techie nomads who travel out of their suitcases, the Setout is ideal. For short-length travel, the Setout also comes in a smaller size, called the Setout Divide ($179). Don’t have clothes? 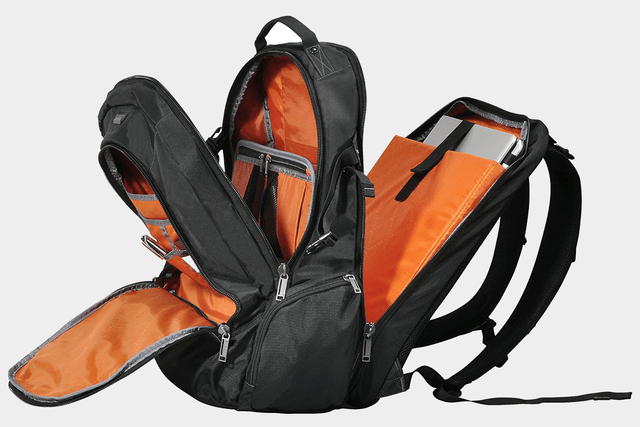 Tortuga has the Setout Laptop Backpack ($125), which features all the best attributes of the other Tortuga Setout bags, minus the extra space. This weekender polyester backpack is one of the best options for short flights that we’ve seen, with pockets and straps for everything you could need, whether you’re going on a professional trip filled with electronics or joining your friends for a quick excursion. 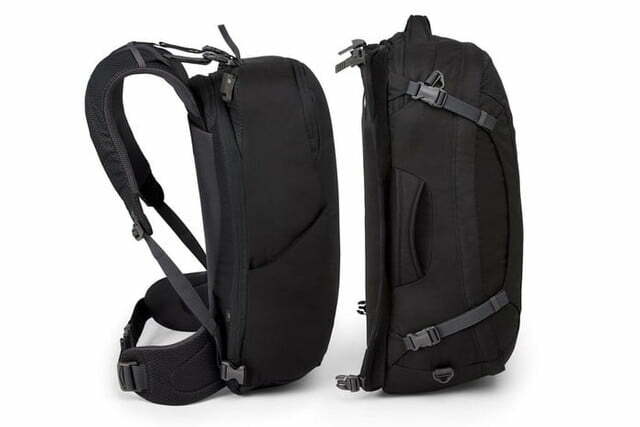 It has a top handle, side handle, and adjustable, hidable shoulder straps, no matter which way you want to hold it, along with two sets of compression straps for securing all your items — and, of course, it’s designed to fit into overhead plane compartments without any trouble. The laptop pouch is found in the roomy front organizer, and is suitable for 15-inch and extra slim 17-inch laptop models. The pack also comes with handy packing cubes that allow you to separate the main space into different compartments. The Ozone Duplex is like having two bags. 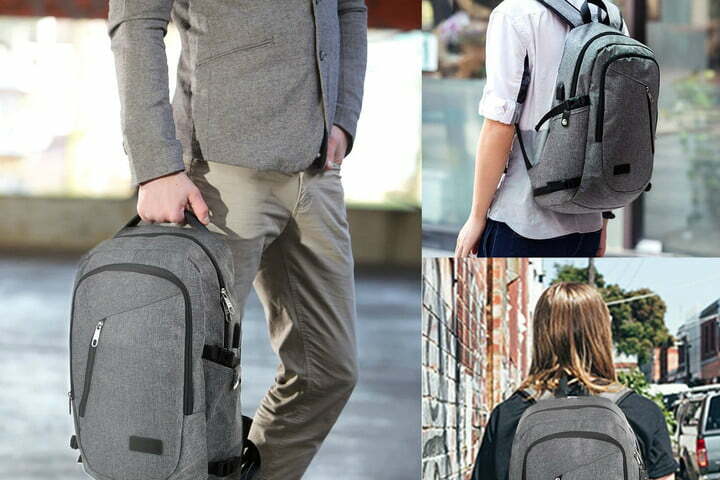 One, called the Daypack, has padded storage for a laptop and tablet, as well as other essentials. The Cargo Bag, which secures on top of the Daypack, has room for clothes and other gear. The idea is that when you get to your destination, you can detach and leave the Cargo Bag at your accommodations, while the Daypack functions as a regular backpack. 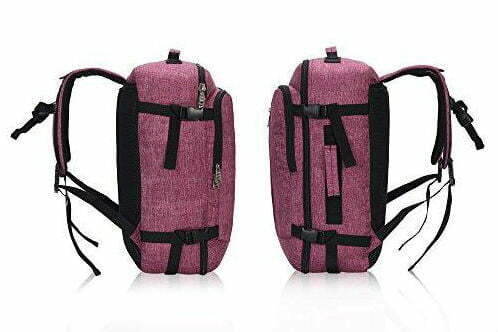 The Cargo Bag has a separate shoulder strap, too, should you want to haul each separately. The Osprey Ozone is gender-specific, however — there are two versions, one for men (Duplex 65) and another for women (Duplex 60). 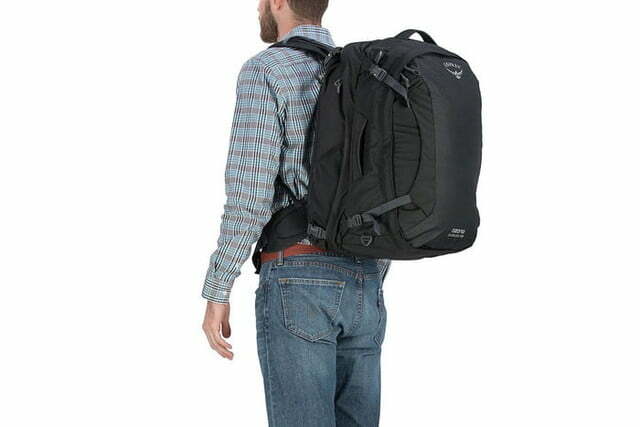 If you tend to carry two bags anyway, the Ozone Duplex is a neat two-in-one solution. 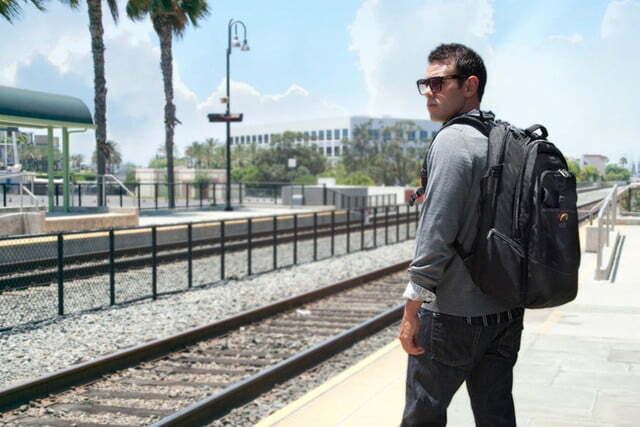 The Titan is a colossal backpack, one capable of holding an 18.4-inch laptop. This makes it ideal for anyone with a large gaming laptop who travels frequently. 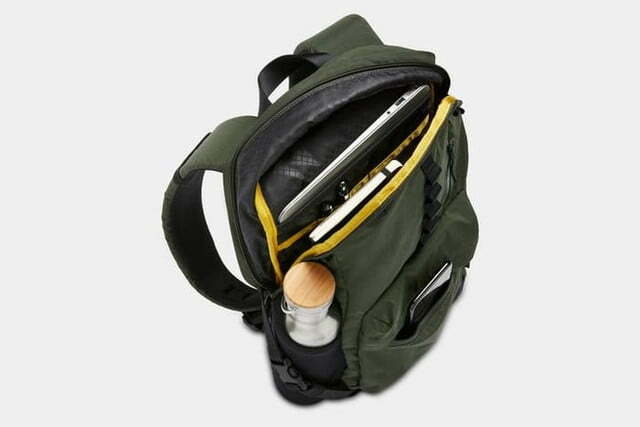 Additionally, the bag features several large compartments, so you can store plenty of gear, including laptop accessories and other devices (tablets, handhelds, etc.). The tablet pocket is even lined with felt, making it safe for any screen. Although it may seem like such a large backpack would be terrible for moving through security, the titan opens up 180 degrees, so it can move through a screening machine easily. The pack’s innovative design also makes it easy to rifle through compartments and grab the specific device you want at any given moment. It may not be the right choice for every consumer, but those with mammoth laptops and an assortment of gadgets will appreciate the Titan’s bountiful pockets and smart organization. We love a good bag. But, if given one with lots of volume, we will use every inch of it, and that’s not great for weight. 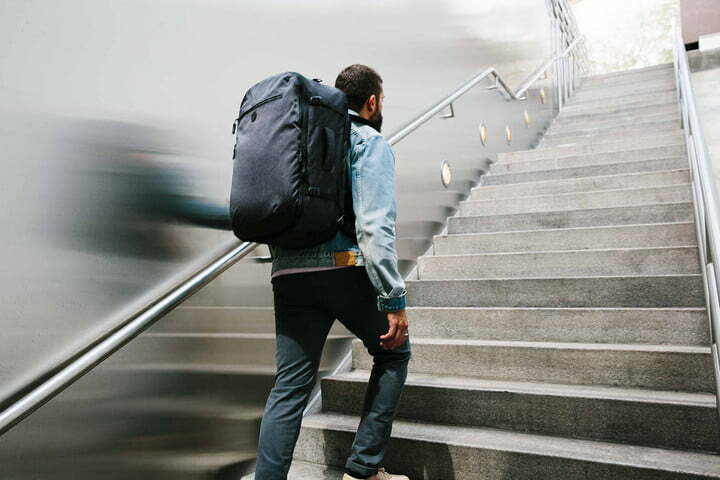 If you want to pack light — just the tech essentials, please — or need a second, smaller bag to accompany a duffel or carry-on, we’d recommend using Timbuk2’s Collective Festival. It has room for a 13-inch laptop, a few accessories, and a change of clothes. The bag and straps are also made out of strong materials. As the name suggests, it’s designed for festival goers. As such, the laptop pocket can be used for a hydration bladder, and comes with a rain poncho that serves double duty; it keeps your bag dry, and can be used as a blanket. 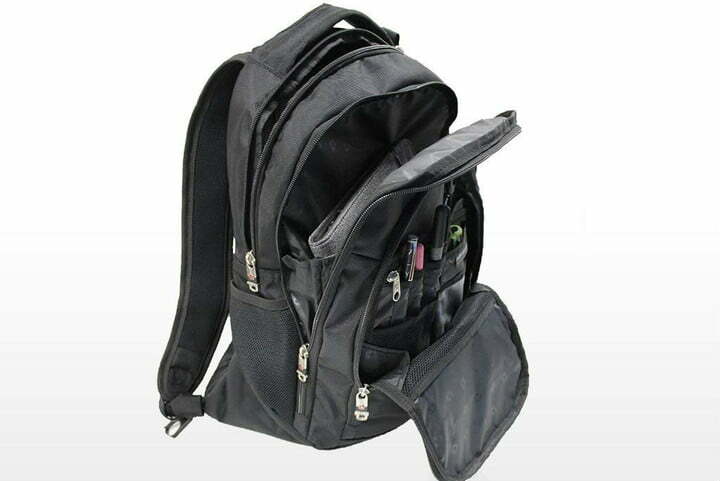 An ideal pack for backpacking across the world while still keeping your laptop safe, this Swiss Gear model includes a padded laptop sleeve for stashing laptops up to 15 inches in size. It also includes room for pretty much everything else, including office supplies, water bottles, a change of clothes, toiletries, and so on. 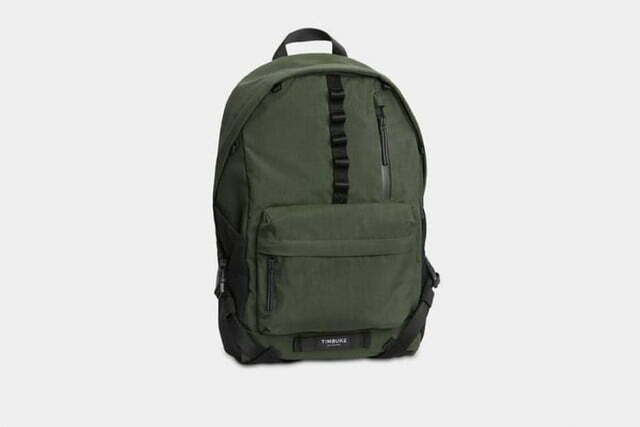 The padded shoulder straps keep the pack comfortable, and the denier ballistic nylon surface prepares the backpack for rougher conditions, if necessary. If your definition of travel is ambitious and you need a backpack to keep up, this Swiss Gear is worth checking out! Simple, affordable, and ideal for rainy cities, this Mancro bag can fit laptops under 17 inches in size, and comes with a built-in USB charging port. 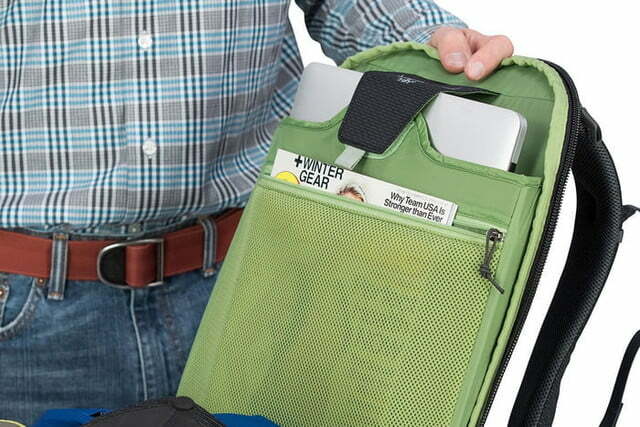 There are also more than 10 compartments for housing tablets, phones, chargers, binders, clothing, water bottles, and anything else you may need on the road. The design hits a sweet spot that makes this bag suitable for a business meeting, trade fairs, school, and anything in between. If you’ve been trying to find an affordable laptop bag that still has all the features you need for a busy life/travel plan, you can’t go wrong with Mancro’s water-resistant option.